To run an outdoor festival this summer, you need to be more than “well-prepared” — you need to be truly battle-ready. You’re up against unpredictable weather and a big lineup of festivals, not to mention the hectic social commitments of the festive season. With winter hibernation over, event lovers are ready to put down the TV remote and get outside. Of course, more people seeking events means more competition catering to demand. To stand out in a crowded market, you need to offer an event that is fresh, appeals to the lives of busy Australians, and will drive serious FOMO (fear of missing out). Here are three ideas for selling-out your event this summer. 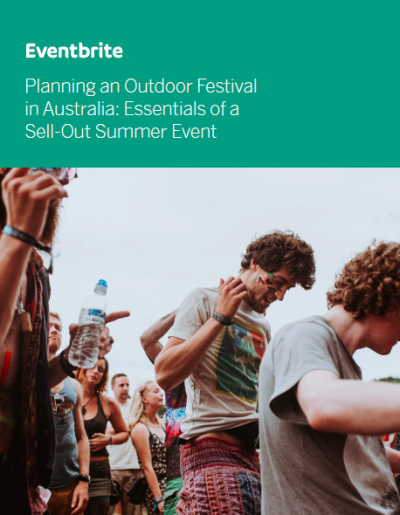 With the summer festival season wrapping up in the Northern Hemisphere, now is the perfect time to take a look at what was hot (or not) at recent outdoor festivals. Thanks to the likes of Instagram and Snapchat, Australians get an instant update of what is hot overseas. Your fans expect that they will see the same standard of entertainment, fashion, and food when summer arrives down under.